Ashley Horton Designs: ALTENEW Design Team! Happy News!! I'm so excited to share that I have been invited to join the Altenew Scrapbook Design Team! I recently joined in the Altenew Release Blog Hop for their gorgeous, Reflection Scrapbook Kit. I had so much fun creating with the Kit, that I jumped at the chance when May invited me to join the team! I have a couple of sneak peeks of new layouts, using the Reflection Kit to share with you today, to go along with my DT announcement! 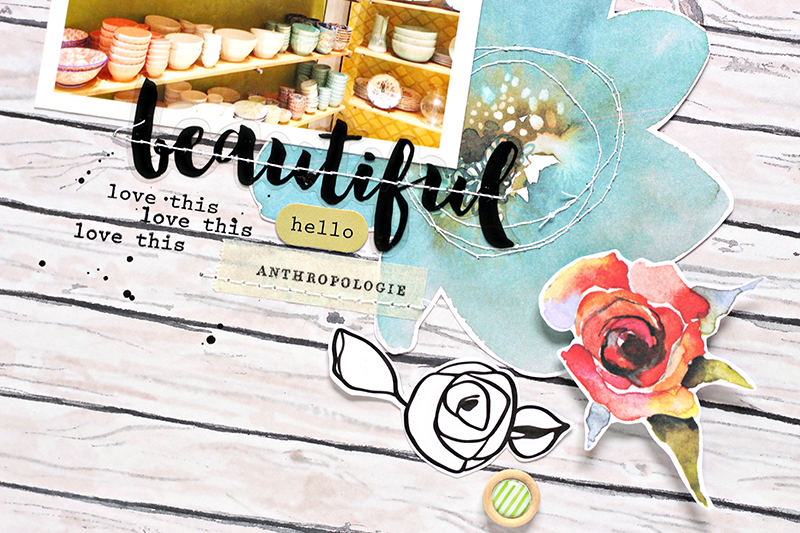 You can see the full layouts on my intro post on the Altenew Blog! There is a big variety of patterned papers in the Kit, so you can create so many different looks from one Kit. I loved this wood grain pattern, with pops of color from some fussy cut flowers and embellishments from the Kit. The colors also coordinated really well with the colors in my photo. 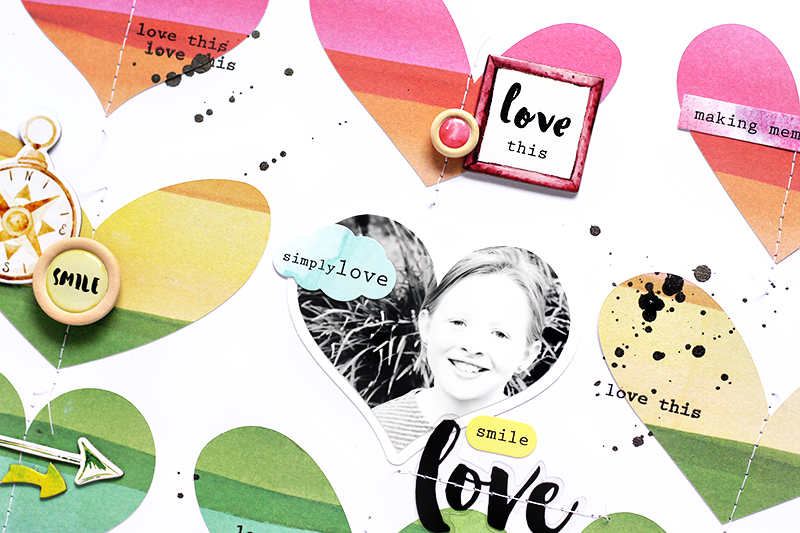 I LOVE this rainbow patterned paper that is included in the Kit, so I wanted a fun way to feature it. I cut a mix of heart shapes from the patterned paper and then I placed the patterned paper over my White cardstock background. Then I pulled each heart off of my Cameo mat and adhered them to their coordinating spot. Once I had all of them in place, I pulled the rainbow patterned paper up and each heart was perfectly placed. I am looking forward to working with all of the gorgeous products from Altenew, and I'll be sharing my first official Design Team post at the end of this month. Congrats, Ashley! This is very much deserved and I can't wait to see what you create using these products!! Congratulations, Ashley! So glad that you are on Altenew! I look forward to seeing more of your beautiful work! CONGRATULATIONS, my friend! This is an amazing adventure and cannot wait too see your layouts with Altenew!! Congratulations!! I recently purchased the kit and have been struggling with the papers (they are outside my norm). Looking forward to see what you create with it!!! Congratulations Ashley! Your pages are beautiful, can't wait to see more!